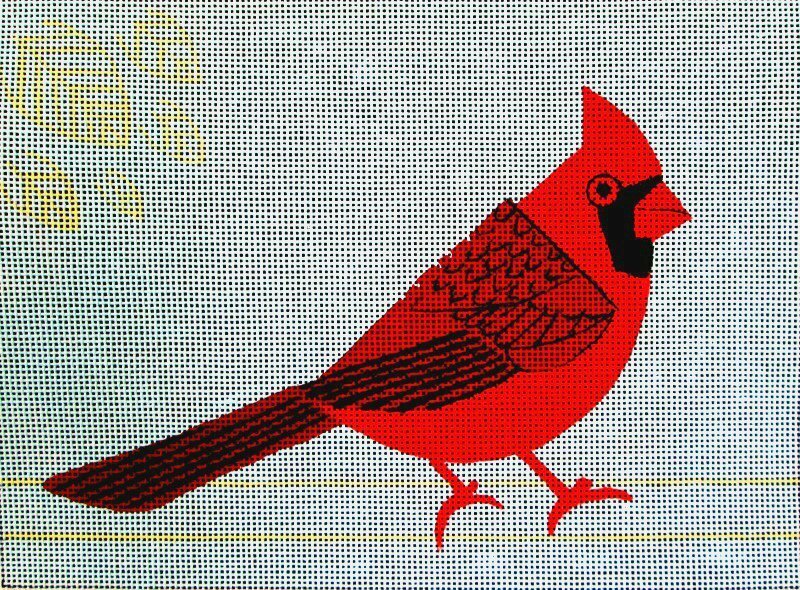 Affordable needlepoint kits don't have to be poor quality. We have inexpensive needlepoint kits that are fun, well designed and good value. 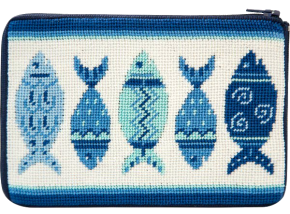 Stitch & Zip needlepoint kits make the best gifts, either stitched or unstitched. One of the nicest things about these needlepoint kits is that they are pre-finished. So, when you are done stitching, simply zip them up and you have a finished product. They come in several styles: eyeglass case, coin purse, and cosmetic purse. 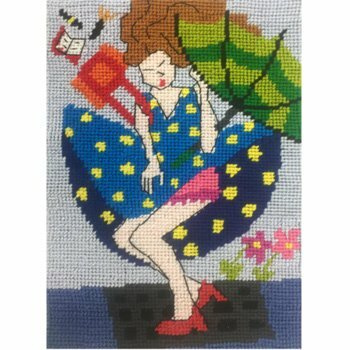 All of these affordable needlepoint kits are on 14 mesh needlepoint canvas and come with cotton floss. 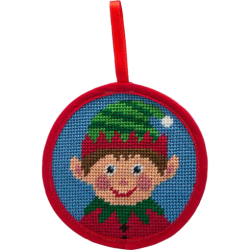 Stitch & Zip also make these cute-as-a-button needlepoint Christmas ornaments. You stitch them, stuff them if you want to make the ornament "fatter", and then sew them up. These needlepoint ornaments are affordable needlepoint kits that are quick and easy to stitch. There are several designs in our needlepoint Christmas ornament gallery. 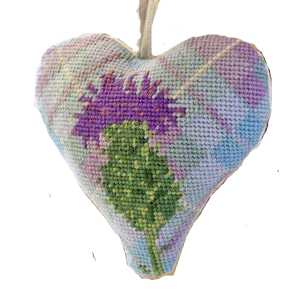 These adorable heart shaped needlepoint ornaments are self-finishing and quick to stitch Some of them come with a lavender sachet to sew inside. Quick and easy affordable needlepoint kits. 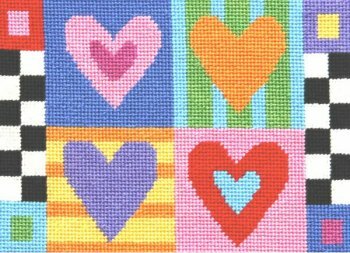 If you're just getting started in needlepoint then take a look at our selection of easy needlepoint kits. These are on larger mesh canvas, or have simple designs so they're easier to see and stitch. A great way to get started. 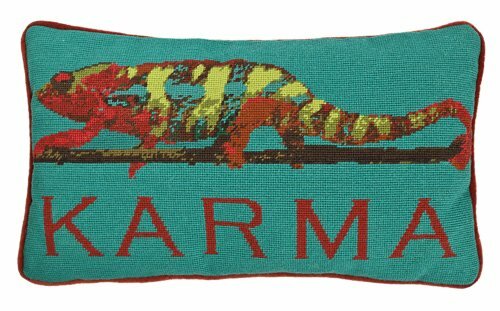 These needlepoint pillow kits from Home Creations are also inexpensive because they are kitted with cotton instead of wool yarn. 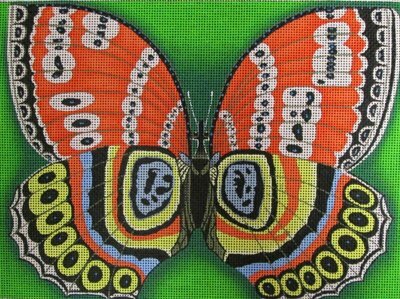 These are a color-printed design on 14 mesh needlepoint canvas. 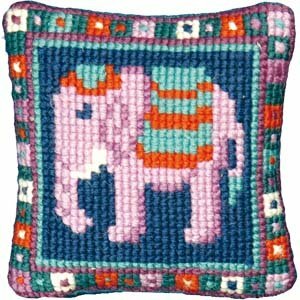 Affordable needlepoint pillow kits are not easy to find and these Home Creations needlepoint pillow kits are delightful. 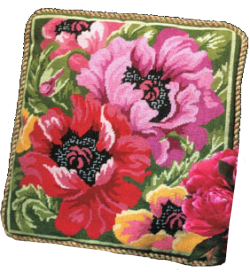 Another way of finding inexpensive needlepoint is to look out for needlepoint sales. We always have several needlepoint kits on sale. Contact us with questions about affordable needlepoint kits.